The Kennedy Cervical Traction Unit provides unparalleled cervical traction therapy. Includes independently adjustable neck wedges, contouring memory foam headrest which cradles the head for maximum comfort throughout the cervical treatment, and the forehead strap assures a comfortable and appropriate fit during treatment. The Cervical Traction Unit pulls at the base of the occiput and gently rolls on the table for more effective cervical traction. Adapts easily to most traction devices or tables. One size fits most patients. 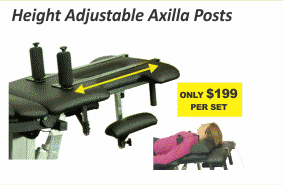 Removable and Height adjustable axilla posts provide additional fixation a traction table to prevent slippage during supine or prone traction. Can be used with a traction belting system, or slip-stop blocks to secure the patient with less restraint. 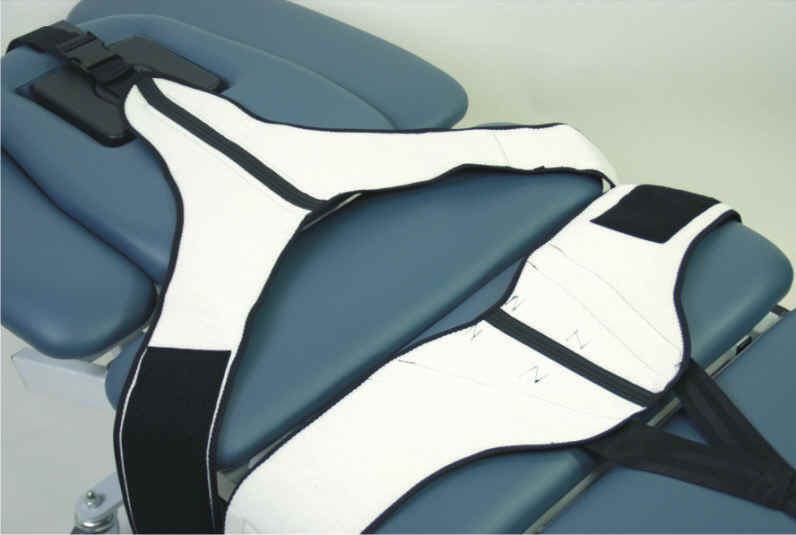 The Slip-Stop decompression blocks eliminate the need for restrictive wing / thoracic vest or axilla-posts. Slip-Stops are a convenient way to stop thoracic slippage during decompression / traction or any procedure involving stretch of the hips, knees, ankle, or back. Slip-Stops are ideal for patients with breathing problems, rib injury or claustrophobia and they work well with just about any decompression or traction table. Notice: Quickeaze Belts are an accessory belting system available for Licensed Practitioners. Quickeaze Belts are not affiliated with any manufacturer of any traction or decompression system and are not intended to be provided in lieu of packaged accessories by distributors or dealers. 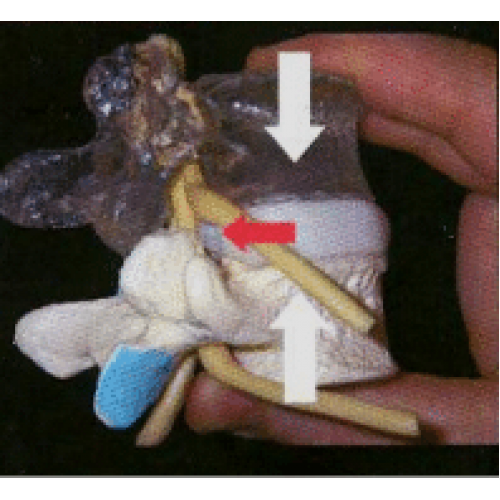 Finally, a realistic spinal disc model for your decompression practice. This is the ideal way to explain the benefits of decompression therapy to your patients. We’re sure you’ll be impressed with how this model brings to life the movement and feel of a disc! The Neck Deck provides gentle and comfortable extension traction for clinic treatments as well as at home. Helps relieve neck pain and upper-body muscle tension, chronic pain from scoliosis, spondylosis, cervical radiculopathy, osteoarthritis or herniated disc. 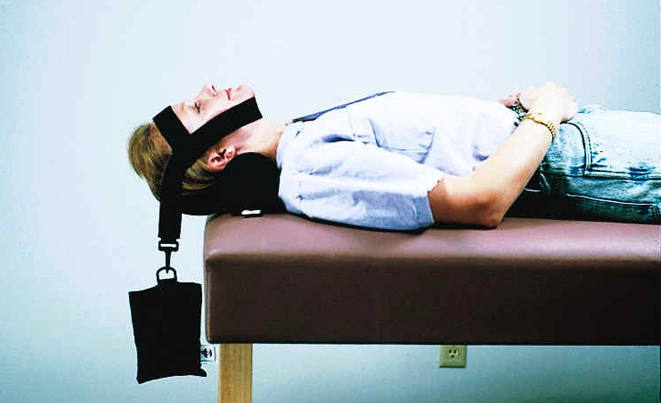 Patients begin therapy by lying on or sitting against the contoured foam base for a few minutes each day, allowing decompression of the anterior spine. 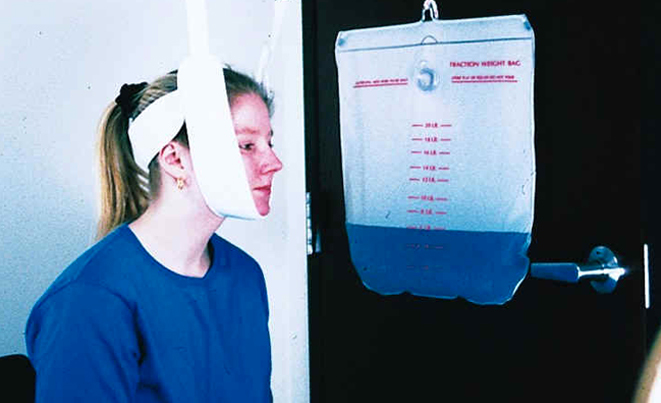 As this becomes more comfortable, patients can inflate neck roll to increase levels of extension. Finally, the forehead tension strap can be added for greater levels of therapeutic effect. 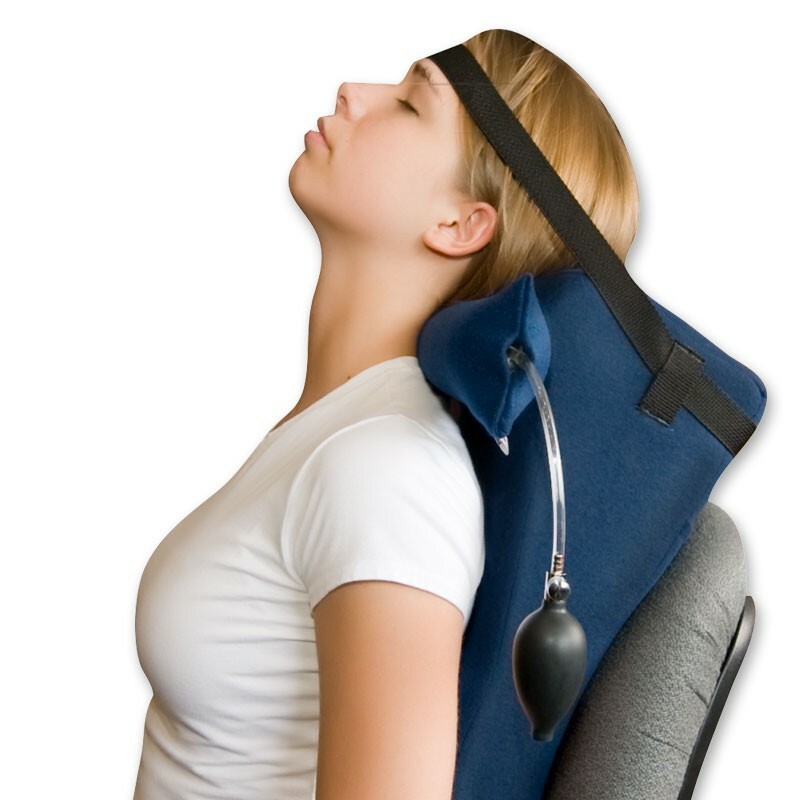 Neck Home Traction unit helps to restore the proper cervical curve. Effective, affordable and convenient. 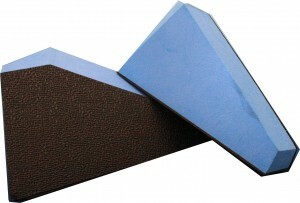 System contains foam roll, adjustable head harness and soft-sided weight bag. Available with a 3lb or 5lb weight. Fits over any door and requires no installation. Kit contains everything needed for patient-administered flexion or extension cervical traction.